*Disclaimer: I received this as a sample from Bin Ends Wine in order to participate in the Wines of Argentina Twitter Taste Live. Only a short break from the Argentinian wines! 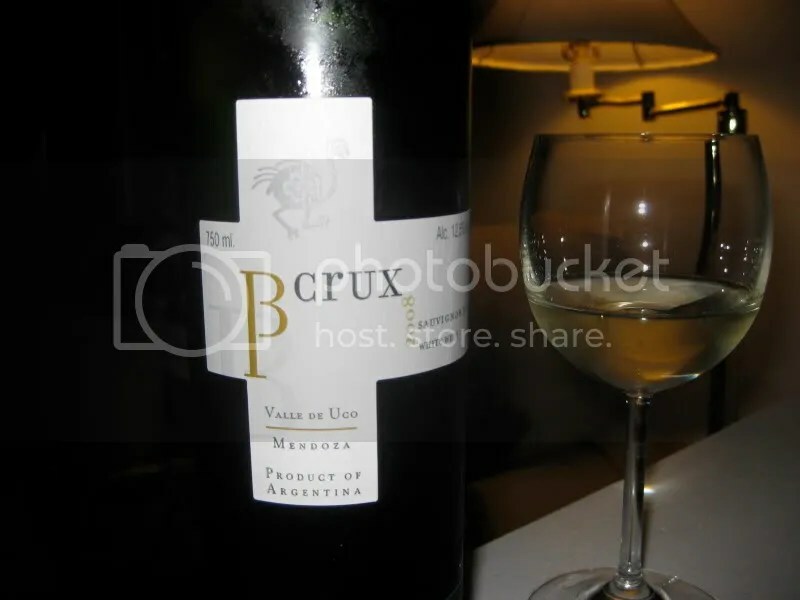 Besides this bottle, I have at least 4 more wines from Argentina to tell you about….in time! Then we move on to the Wines of Germany, but I won’t have nearly as many of those…I think this past Friday is the only event I can participate in due to scheduling conflicts…too bad, this Friday’s wines were overall excellent. 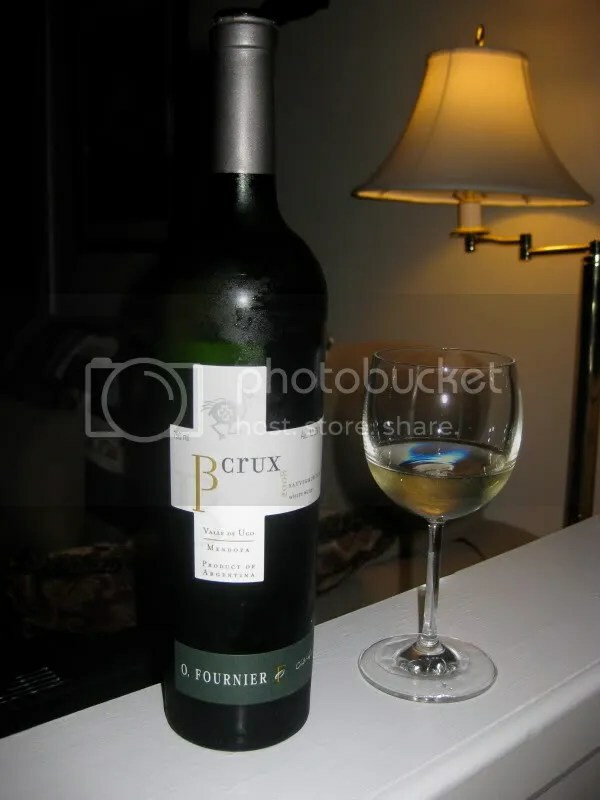 On the 3rd night of the Argentina TTLs we tasted our first Sauvignon Blanc from Argentina, the 2008 B. Crux O. Fournier Sauvignon Blanc. It had a real cork closure, clocked in at 12.5% alcohol by volume, and retails for around $20. On the nose I found meyer lemon, white grapefruit, stone, white peach, and apple. The apple threw me a bit, I must admit, but it was there! In the mouth I got citrus, fresh lemon, peaches, pink grapefruit, more lemon, and lime. I found it to be almost a little salty on the edges. I would suggest this for a hot summer day. Great wine. One of those Argentinian wines that show a lot of character and will please many..